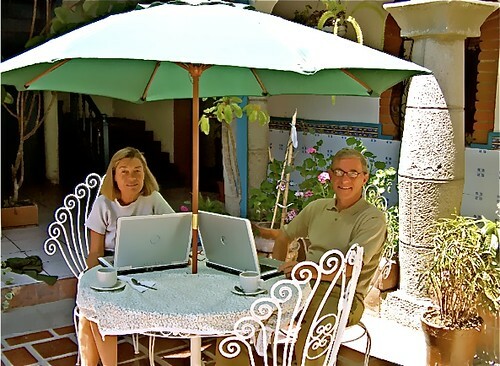 Gary and Merri Scott have been teaching about global economics and quantum learning in dozens of countries for over 40 years. Gary & Merri Scott teaching in Quito Ecuador. Now well past retirement age they continue to teach regularly and work with a team of Super Thinking + Spanish teachers they have trained and who are now bringing Super thinking + Spanish around the world. Super Thinking + Spanish teacher training. A Rainy Night in Georgia…late 1960s. 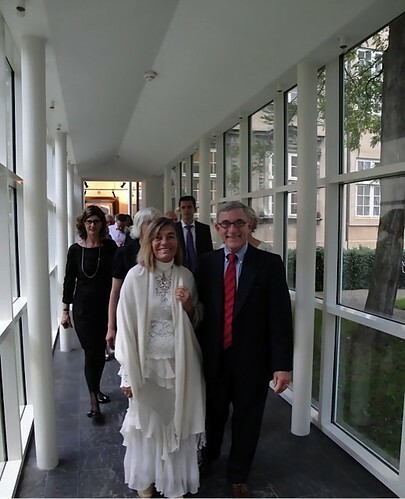 I had returned to my family home in the Deep South after 2 1/2 years of language study at the Goethe Institute in Europe. The accomplishment of German in the Institutes in Europe was extremely painful and stressful. Although I did obtain bountiful mastery as well as even dreamed in German after over 2 years there, I felt exhausted and depleted. I should have been excited, thrilled and happy. It was one of those rainy winters in Georgia. After 2 previous years suffering bad weather in Europe, I longed for the sun and the then unknown to me, Caribbean. It occurred to me that I should winter in Yucatan. The urge to explore another country and the desire to pursue a career in Import & Export plus the continued dreary weather convinced me to go and try it. I was young AND foolish. So, I packed a suitcase & headed out. As a language major, I was fluent in French, German with years of Latin and Origins of Modern Language courses behind me. For some reason I overlooked the fact that I was not fluent in Spanish! Loving the weather but not enjoying (or being able to afford) an idle life, I discovered a world of opportunity. The markets of Yucatan unfolded to me, discovering the wonders of textiles beautifully made in styles and fabrics unknown to the U.S. at that time. I was hooked! However, not speaking Spanish made me feel deprived, lazy, lonely and not in a strong position to do business. It was imperative to speak Spanish! Fast!!! What happened was quite miraculous. We’ll share these rules/ideas/words that allowed me to communicate…not in an erroneous, clumsy way but in the way of a scholar-an honorable, gracious person respecting others & language. Fluency in a language as the Goethe Institut (the respected language school) defines it as 1200 words. Because I had studied for those years under this powerful learning system, I knew of its accuracy. As I struggled to teach myself Spanish, my first thoughts were “How quickly can I know 1200 words?” Well, a lot quicker than you can imagine! 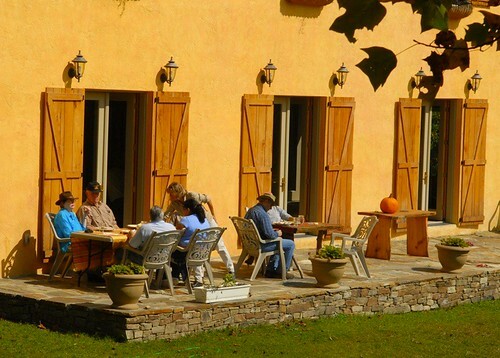 Modern languages (French, Spanish, Italian, English) are based on Latin, with the same roots. If I knew a word in French or English, perhaps there would be a similar word in Spanish. This led to a number of “rules” on how to automatically convert English words to Spanish. My great hope was there might be a couple of hundred words that are more or less the same in both languages…but lo and behold, you’ll see that there are actually 4005 words! (These I painstakingly selected. I went joyfully through every word in the largest Spanish dictionary and decided whether its English counterpart was familiar & suitable & if so, added it to my list.) I joyfully made this incredibly long list to help all others gain fluency! Gary & Merri Scott teaching in Copenhagen. Let’s remember that 1200 words are fluency in a language! How does it feel to realize that right now, we already know 4005 words in Spanish? Back then, I thought…I need to know how to pronounce these words and I need to know how to recognize more and more and that’s about it…but whoa! How about speaking in whole sentences? How about conjugation of verbs? How about the dreaded derivation of sentences? How about sounding gracious and honorable? I must learn instantly. I must speak now. I must communicate. I sought to communicate…while honoring the language. Could this possibly be? Well, of course it could. And it did. 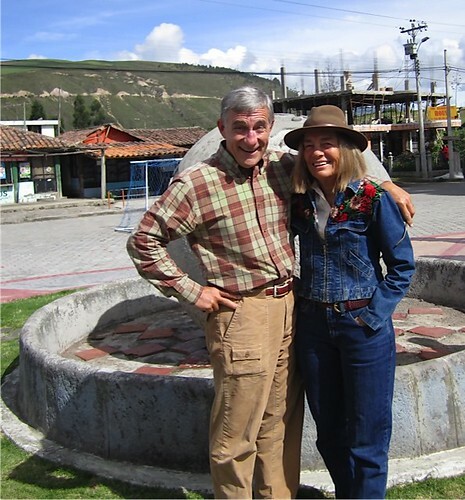 Gary & Merri Scott at the Equator leading a group to Cotacachi Ecuador. 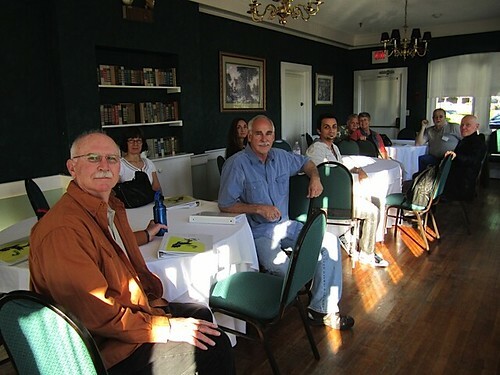 Years later, I was fortunate enough to be chosen for Dr. Georgi Lozanov’s (the Bulgarian Master) SuperLearning Course and became a certified teacher in this stress free, remarkable system. But that’s another story, which we will discuss later. For now, just remember I was on a very short string and desperately wanted and needed to speak Spanish…so what follows is exactly what happened. It is my most humble pleasure to offer the following easy system so that you, too, may seek your own adventures and enjoy one of the great pleasures in life- communication! The class and the teachings were extraordinary. We had the head of the Buddhist Monks, the Cultural Minister of Russia, the head of the radionics masters from Zurich, and a number of equally fascinating people. And then there was me! After being chosen to take part and to be licensed in these techniques in 1976, my life was changed forever. Spending weeks with 11 others from all over the world was a remarkable experience. Having the benefit of the understanding and experience of Dr. Georgi Lozanov, the energy and drive of Dr. Carl Schleicher and the devotion to language of who was to come my best friend, Parisian Simone Bedard (whose father was the Ambassador from France) gave me the root, the basis, the knowledge and the joy of these powerful techniques. Over 32 years ago, I was transformed forever and have never looked back. In a sense, super learning adds by taking away by deleting negative suggestions, limiting ideas, fear images, and self-blame. It is not so much that super learning gives us something new…it gives us something we already have…ourselves! This joy of learning and a feeling of harmony riding along on the full wave of one’s being are some of the benefits. Super learning is the ability to learn and remember increased five to 50 times. Merri Scott teaching in Mt. Dora Florida. 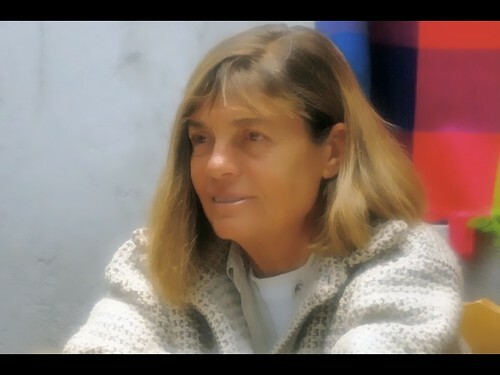 Dr. Lozanov went to live with the Maoris in New Zealand as well as with the Yogis in India. He found that all were trained in the same super memory methods. The Maori Chief, Kaumatana, could recite the entire history of his tribe covering 45 generations and over one thousand years in 3 days without any notes. Lozanov had practiced Raja Yoga for 20 years, but he realized that Bulgarians could not utilize all the exercises of those Yogi masters. What he developed was his own techniques for learning from the ancient ones. But what he wanted is that everyday people could have the qualities of photographic super memory, instant calculations, extraordinary mental activities, pain control along with a whole range of paranormal abilities. But as a scientist and a doctor, He knew that he must have a scientific basis in order to succeed in helping his people, the Bulgarians. Merri Scott helping delegates at their North Carolina deep woods seminar center on Little Horse Creek. Let’s concentrate on our first goal with a language…to COMMUNICATE. 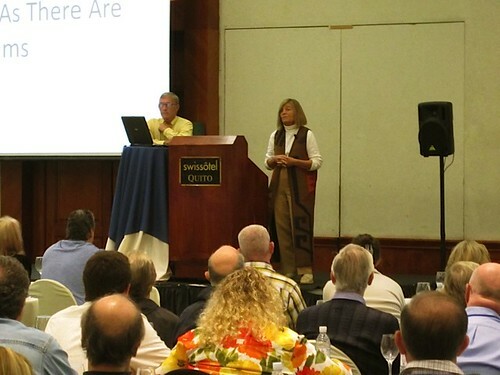 Gary & Merri Scott preparing to teach a Super Thinking course at their hotel in Cotacachi Ecuador. Let’s begin naturally, without stress, enjoying the fluency and the ease of language. And each of us let’s accept the 4005 words that we already know. Spanish is no longer a stranger to us! This is why you can learn Spanish in just three days. 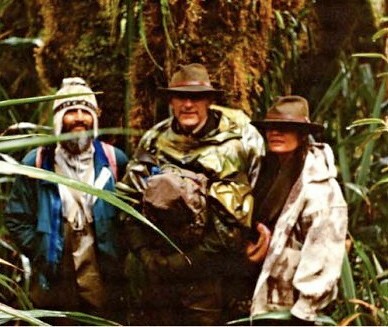 Merri and Gary Scott hiking with a yatchak in the LLanganatis of Ecuador.